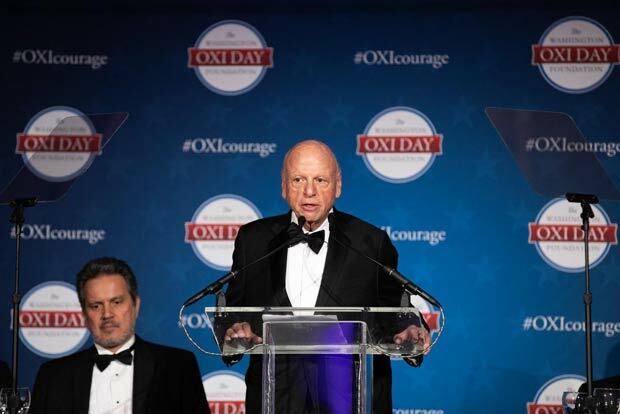 This past October, the Washington Oxi Day Foundation again featured #OXIcourage, past and present, before top US policymakers from the White House and State Department, and thought leaders from think tanks and the media. 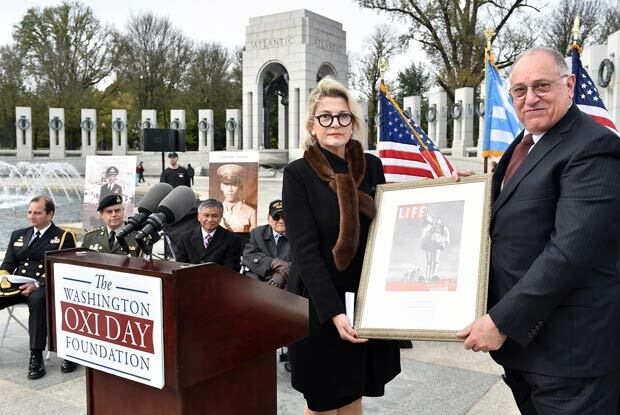 On October 25, at the US Institute of Peace, the Foundation honored modern day fighters for freedom and democracy who exhibit the David vs. Goliath courage of the Greeks in WWII. 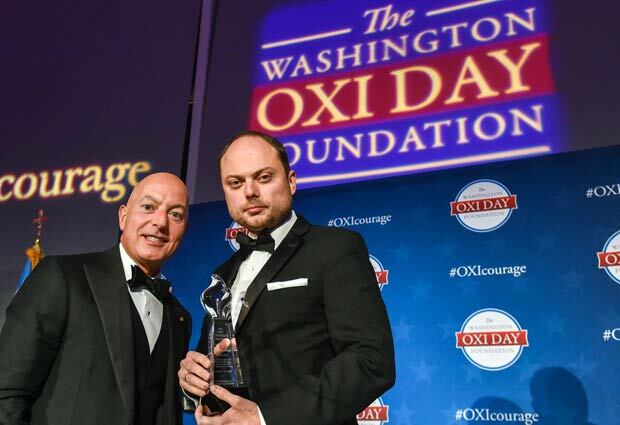 The prestigious Oxi Courage Award was presented to twice-poisoned Russian democracy activist Vladimir Kara-Murza and Chinese poet Liu Xia, the widow of China’s greatest dissident and Nobel laureate Liu Xaibo. 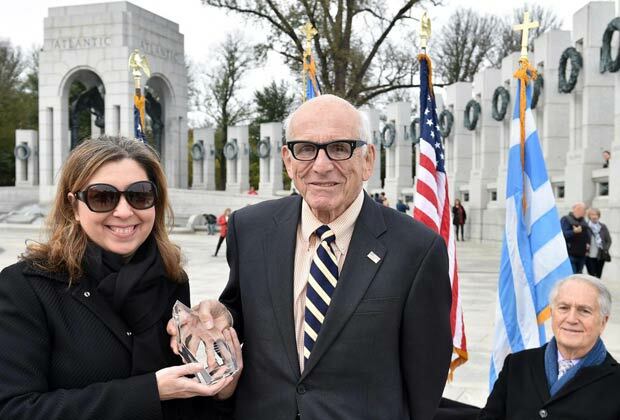 The Chairman of the national Holocaust Museum Board, Howard Lorber, received the Metropolitan Chrysostomos Award which highlights the courage of the Greeks during the Holocaust. 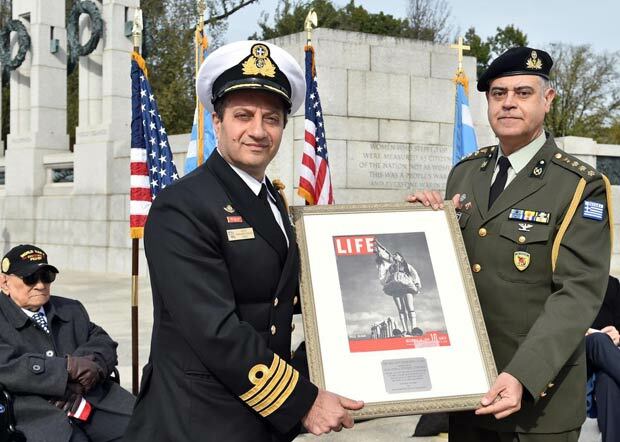 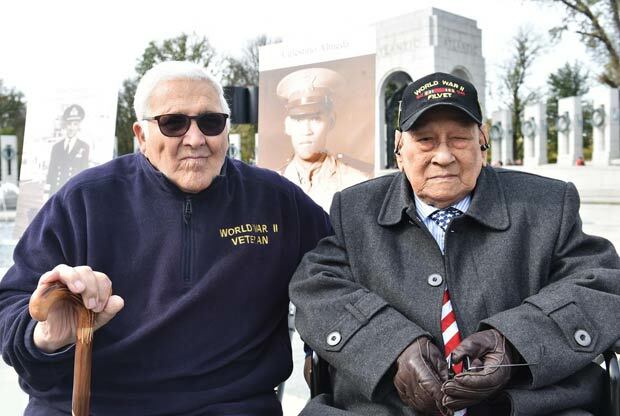 Earlier in the day, at the National World War II Memorial, the Oxi Day Foundation honored three remarkable WWII veterans – a Greek, a Greek-American and an American – alongside Korean War veteran Michael Johnson who received the prestigious 2018 Michael Jaharis Service Award, for his service in the war and continued service to the Greek-American community. 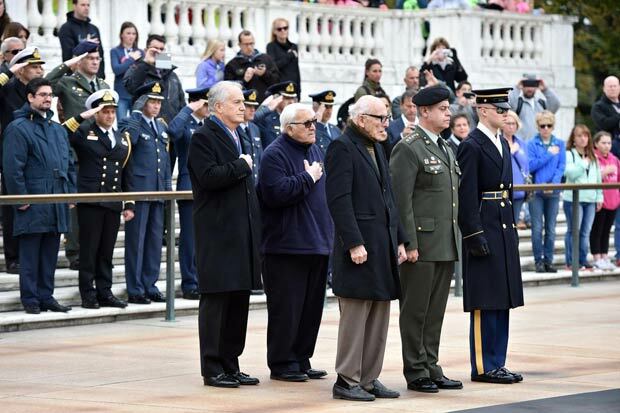 The WWII veterans honored were: 101 year old American veteran nominated by Senator Bob Dole (who previously received this award), Celestino Almeda; 97 year old Greek veteran who fought alongside US troops in the historic D-Day battle, Rear Admiral Theodoros Lymberakis; and (posthumously) Greek-American member of the remarkable OSS (the pre-cursor to the CIA), Alexander Georgiades. 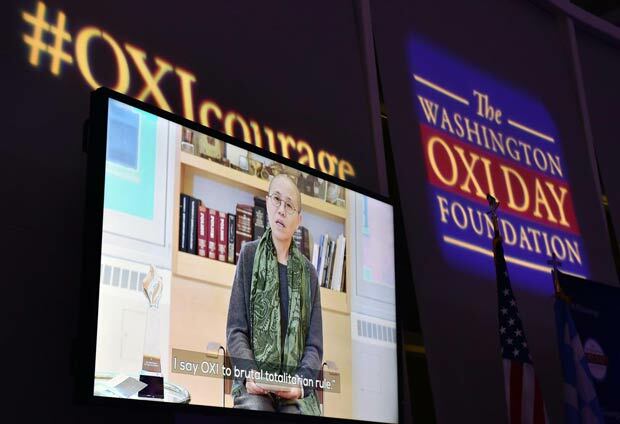 Journalist James Foley, just weeks after becoming the first American executed by ISIS. 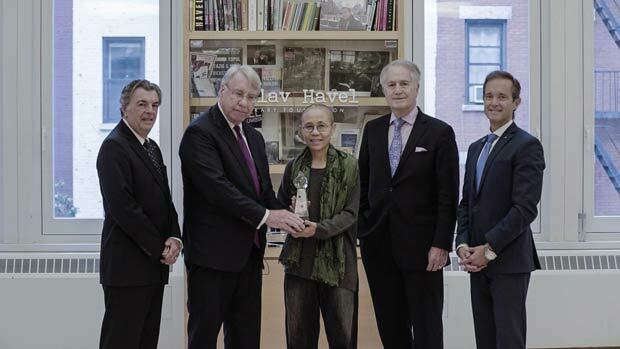 (President Bill Clinton introduced Foley and Jim’s parents accepted the award). 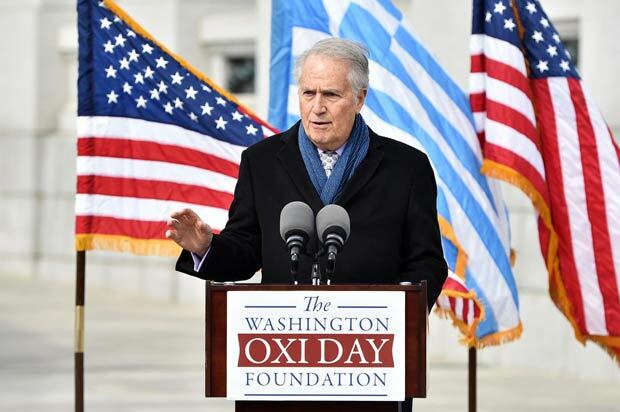 Today’s heroes around the world who – in the spirit of Oxi Day – courageously battle Goliaths for freedom and democracy are nominated by America’s policymakers and opinion leaders to be honored before international and national leaders convening in Washington, D.C. each October for the Annual Washington Oxi Day Celebration which spans two days and attracts over 400 participants.